A few weeks ago I treated myself to a new hairdryer. My old one had pretty much fallen apart (my own fault, I threw it...very unlike me but I was raging at the time I did it) and recently it had started making noises that sounded unhealthy & it wasn't smelling too good either when in use...a bit burny for my liking. In it's place I chose a Parlux, which I had remembered from a review by Mostly Yummy Mummy. Can I just say I love my new hairdryer. 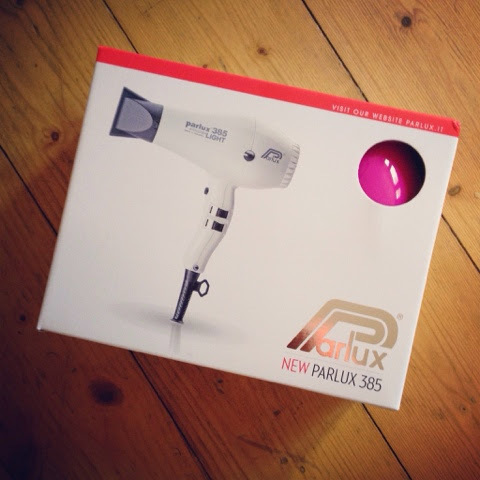 I chose the Parlux 385 Power Light Ceramic Ionic Dryer. I didn't think that it was possible to love a hairdryer. It's an appliance that blows air. I've always purchased cheap and cheerful hairdryers in the past. But goodness how my opinion has changed. 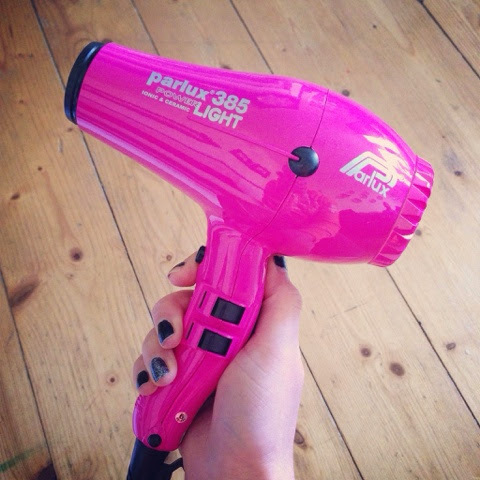 For one, this hairdryer gets my hair dry in super quick time. Secondly my hair feels sleeker than it did with old hairdryer. Is this possible just by swapping hairdryer? Could it all be in my head? Potentially yes. Do I care? Not really, I've got fab hair regardless! And finally, it's pink! There are loads of colours that you can chose from. Huzzah! My sister borrowed my Parlux when she visited the other weekend and she loved it too. 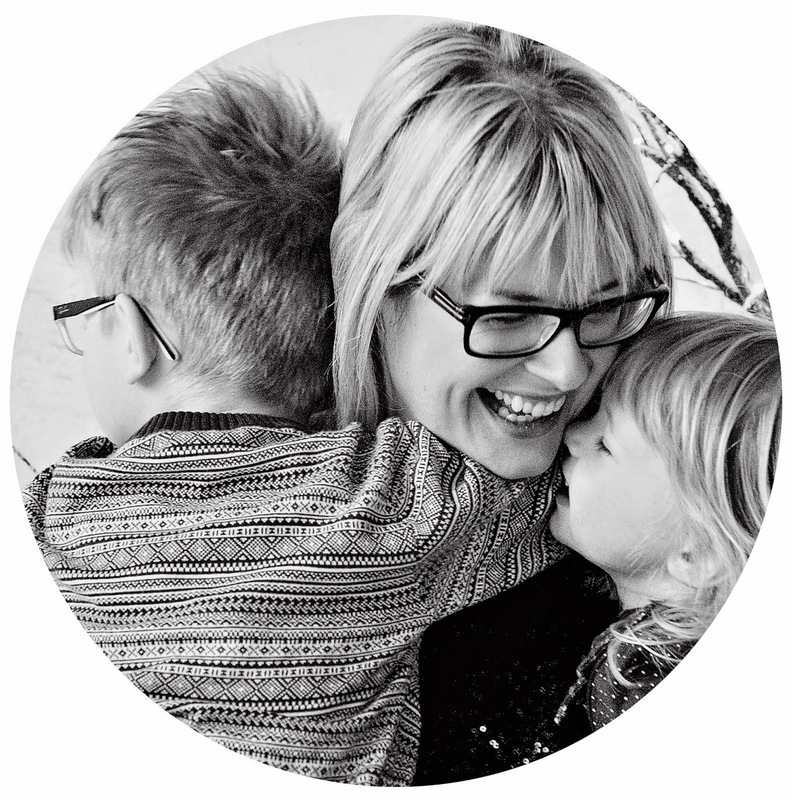 Can't remember her exact words, but the gist was that she thought the hairdryer was amazing. P.S. This may have come across as a sponsored post, but it isn't. I just really wanted to share my new toy with you all because I love it so much! Wow this hair dryer looks so nice. I am sure it will work perfectly too. I had a hair dryer which was very cheap but you know I had noticed that after its use my hair looked so fizzy. So I am going to buy a branded one now.